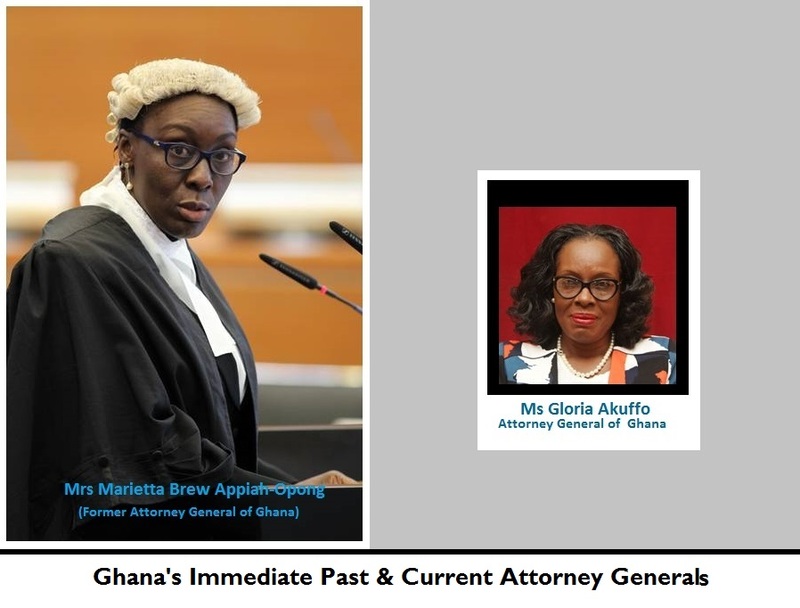 Thumbs up to two of Ghana’s illustrious women – Former Attorney General, Mrs Marietta Brew Appiah-Opong; and current Attorney General Ms Gloria Akuffo for the crucial roles they played in the successful resolution of the maritime dispute between Ghana and Ivory Coast at the International Tribunal of the Law of the Sea (ITLOS) in Hamburg, Germany. Ivory Coast accused Ghana of trespassing in their maritime space in the Atlantic Ocean where Ghana’s oil exploration and drilling activities are located, a claim Ghana denied and so took the matter to the ITLOS after several attempts at coming to mutual understanding failed. 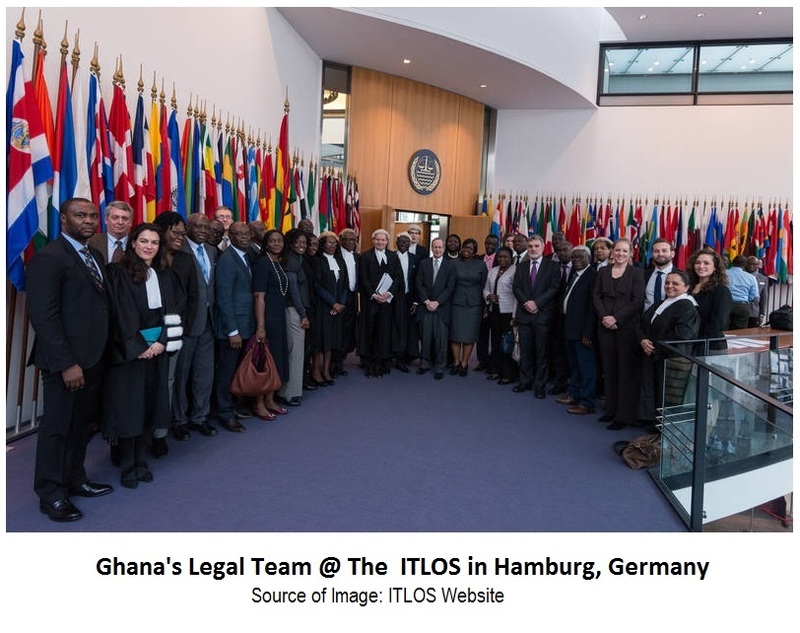 We are extremely happy that the International Tribunal of the Law of the Sea (ITLOS) on Saturday 23, 2017, ruled in favour of Ghana stating that Ghana did not trespass into Ivory Coast’s Maritime area – plus the fact that Ghana even gained further maritime space than previously. We commend the fact that instead of war, the former attorney general and the government of Ghana chose the path of peace by sending the matter to the ITLOS. This legal option does not only ensure that the brotherliness and peaceful co-existence between the two nations is not compromised through violent conflicts, but also brings finality to the dispute. It is also gratifying to note that the team of lawyers and experts that won victory for Ghana was led by two powerful women, first, by the former attorney general and later by the current one following a change in Government – this is great for gender equality . This goes to prove the fact that women are not only “equally human”, but equally competent and equally brave like their male counter parts. Indeed, women all over the world continue to play crucial roles in the development of their societies, and many more women can play even greater roles given the opportunity to develop themselves and serve their nations to their fullest potentials. What the legal and expert team achieved for Ghana is no small feat. They saved the nation billions of dollars in investment and much more – a loss would have been extremely devastating for our economy. We therefore call on the government to honour these brave women publicly with the highest award of the land to show our appreciation for their effort. Government must also redouble efforts at closing the gender gap in all sectors of the Ghanaian society to promote gender equality in reality. Written By: Rose K. of Stand Ghana Inc.
We congratulate the government of the New Patriotic Party for introducing Free Secondary Education Programme in Ghana this year; as it gives every child, especially girls, equal opportunity to have secondary education. The policy is commendable because it allows all qualified students, especially girls from poor homes to go to secondary school free of charge, thus making secondary education available and accessible to every child in Ghana regardless of the economic status of their parents. If sustained, every girl child in Ghana can have Senior High School (SHS) qualification without any excuses from parents on financial grounds. Usually, it is the girl child that is sidestepped and left at home in favour of the boy child due to financial constraints – but today, “no money” can no longer be an excuse against girl child education. So this is a welcomed development for the advancement of gender equality in our educational sector! The policy gives true meaning to the right of the child to have quality education as stated in article #25 of Ghana’s Constitution; article #28 of the Convention on the Rights of the Child; and article #26 of the Universal Declaration of Human Rights. We would however like to entreat government to deal with some of the implementation challenges cropping up, particularly posting of students to day schools outside their areas of residence far away from their parents and guardians. We are concerned that majority of these students especially the girls are too young to be left on their own because they can be sexually abused easily, leading to teenage pregnancies and School drop-outs. 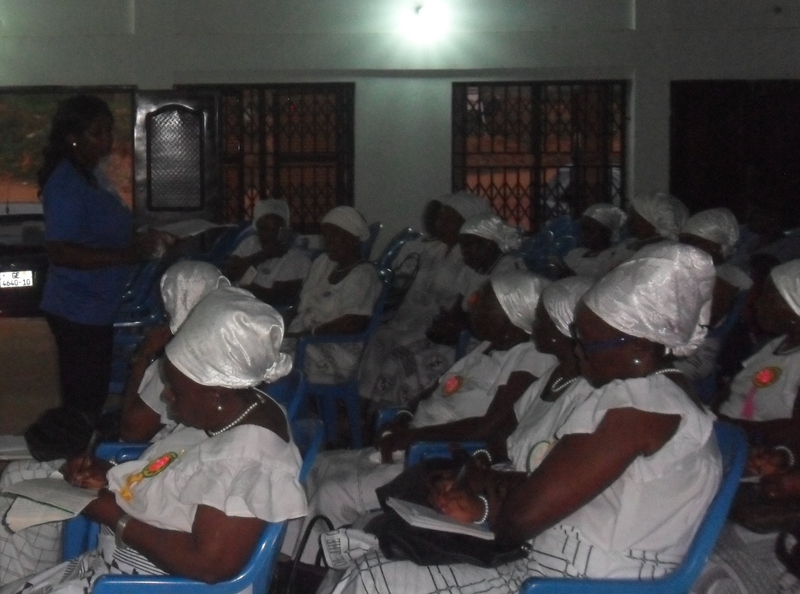 Stand Ghana on Tuesday, 29th August 2017, organized a very successful Human Rights Awareness Talk for two women’s groups of St Charles Borromeo Church at Oyibi in the Greater Accra Region of Ghana on the theme: Importance of Women’s Rights & Responsibilities in Ghana. The main objective for organizing this programme was to increase awareness about women’s rights in the community, promote gender equality and to empower the women to be able to claim their basic rights more effectively. The programme was well attended by over 40 women from St Theresa of The Child Jesus Society & Christian Mothers Association; who were very pleased to be afforded the opportunity to learn about their basic human rights and to have some of their pressing human rights issues addressed. Women are regarded as the pillar of every progressive society. Yet, most Ghanaian women lack basic knowledge about the content of the fundamental human rights accorded them in the 1992 Republican Constitution of Ghana and how to enjoy them. As a result they continue to suffer all kinds of abuse and discrimination on daily basis. 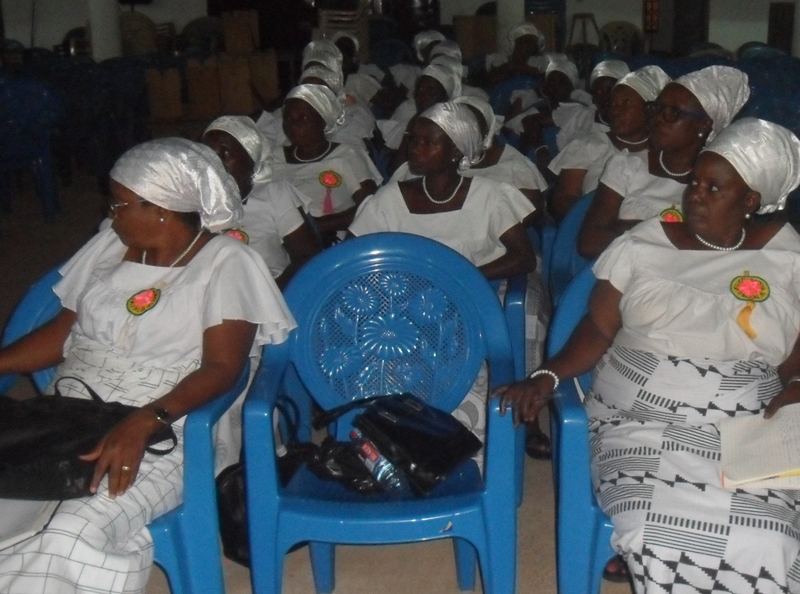 Human Rights education for women in Ghana therefore becomes a critical necessity if we are to improve the well being and safety of our women. Happy mothers’ day to all the hard working mothers of the human family! On the occasion of International Mothers’ Day, we wish to congratulate all mothers for their dedication, their sacrifice, their commitment, their love and their nurturing role for the good and survival of the human family. Indeed, we all owe our lives to a mother and their worth can never be quantified – Well done mothers of the world! We are using this opportunity to call attention to the plight of trainee nurses who have been victimised for motherhood here in Ghana. It is wrong and absolutely unacceptable that women are still suffering discrimination even though there are laws against such acts. Three female students of the Mampong Nurses & Midwifery Training School in the Ashianti Region of Ghana were barred from writing their nursing qualifying exams due to pregnancy, when even JHS students are being allowed to write their BECE with pregnancy. It must be noted that discrimination on any grounds is a violation of human right. Every person in Ghana is entitled to enjoy his or her human rights and freedoms including right to education, without any distinction of any kind such as gender. Discrimination is prohibited in article two of the Universal Declaration of Human Rights, and article 17 of the 1992 constitution of Ghana. Our constitution emphatically says “A person shall not be discriminated against on grounds of gender…” – (Article 17 clause (2). So it is wrong to discriminate against a woman because of pregnancy. We therefore add our voices to the call on the relevant authorities – The Nurses’ Council of Ghana and the Ministry of Education to quickly address this anomaly once and for all to ensure it does not happen to any other female student in Ghana. On the International day of the girl child (11 October, 2016), we call on you and all to EMPOWER A GIRL today. We also call on government to do more to empower the girl child in Ghana in line with the country’s constitutional and international obligations. Observance of the day begun since 11 October 2012, when the UN established the day to promote equal opportunity for the girl child and to raise awareness about inequalities faced by girls globally due to their gender. The theme for this year’s International Day of the Girl is “Girls’ Progress = Goals’ Progress: What Counts for Girls”, in line with Sustainable Development Goal on gender equality. By girl child, we mean a female below 18 years of age. And, according to the UN there are currently a total of 1.1 billion girls worldwide; many of whose situation needs so much to be desired or accepted. 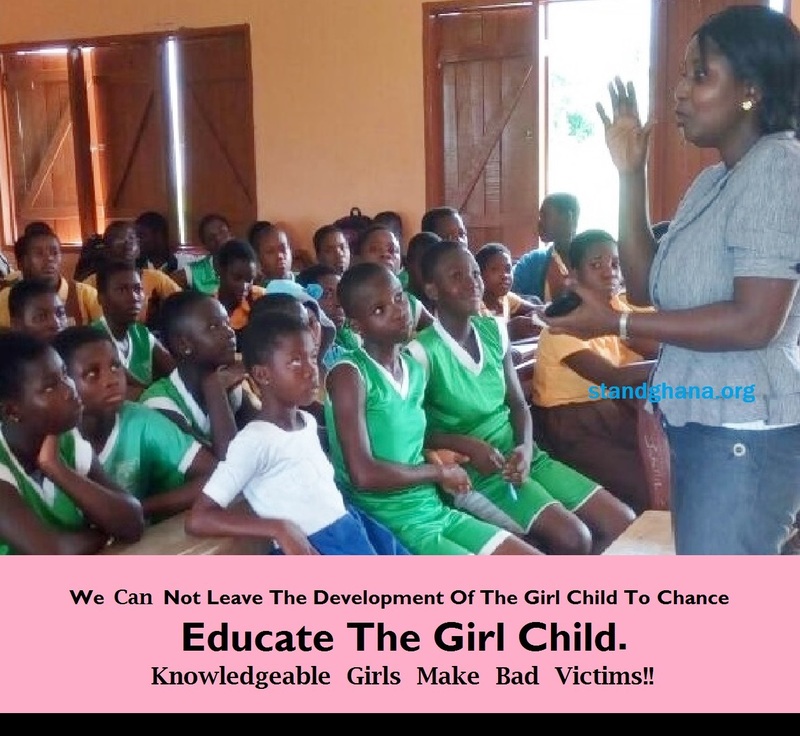 Stand Ghana believes that no girl in Ghana deserves to be on the street selling or carrying other people’s loads in the market, or doing adult jobs, or getting married or enslaved in shrines when they should rather be obtaining quality education. Girls are supposed to be in school preparing for their future! Girls’ Progress = Society’s Progress!! 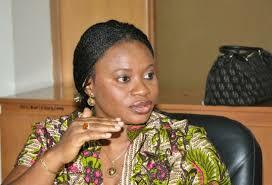 What do you think about Ghana’s Affirmative Action Bill? Do you think parliament should pass this Bill into law? On 9th June 2016, cabinet (the president & some of his ministers) granted approval for the passage of an Affirmative Action Law for Ghana. The bill proposes a 40% quota for the recruitment of women into most sectors of society – including civil & public services and other institutions. Should parliament pass this bill into law, women’s participation in governance and decision making process in Ghana will increase substantially. It also means successive governments will be compelled legally to ensure that women are appropriately represented in public offices, governance and decision making positions throughout society. For example, clause 25 of the bill “states that at least forty percent of persons nominated for the position of Chief Executive of a District Assembly are women1”. This is good news for women and Ghana as a whole, and we must all support it! Because, across the continent of Africa, women’s representation in parliament for instance is still extremely low (an average of 23%) and Ghana’s situation is no exception. But there are some good examples from Rwanda, Tanzania and South Africa worth emulating. In Rwanda, female representation in parliament is said to be around 50% and above currently, and they have the highest number of parliamentarians globally2 . This is commendable! However, whilst Ghana;s efforts towards affirmative action law is in the right direction, it seems that other issues regarding socio-cultural and economic inequalities confronting most women have been put on ice for now, and this is a bit worrying. 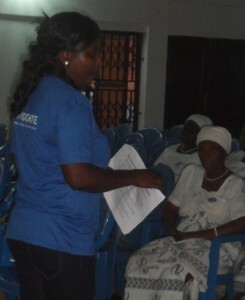 Are there concrete strategies in place to ensure increased female participation results in socio-economic progress for all women in Ghana? Aside increased representation and participation for women & girls; we need urgent action to address all forms of gender inequalities to ensure real development and shared growth for all. We congratulate all women on occasion of International Women’s Day celebration today, March 8, 2016. We celebrate the women of Ghana for their relentless effort and hard work to keep this nation going stronger and better. Today Ghanaian women are found in all sectors of the economy – both formal and informal. 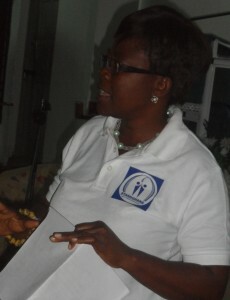 Just like Madam Love above who is a business woman, retailer, hair dresser, mother of five and a wife; Ghanaian women are engaged in multiple businesses and jobs just to keep the home, children and the entire society in better shape. 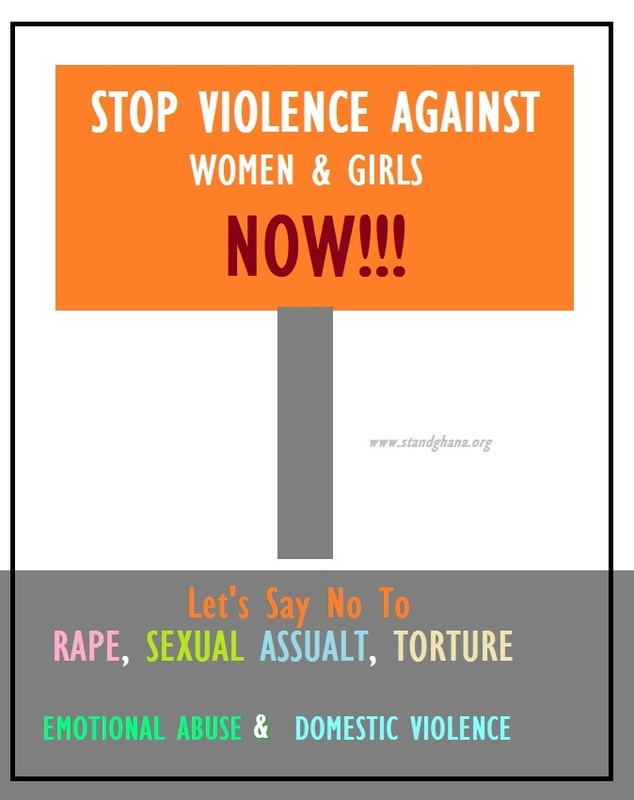 However, despite the crucial roles our mothers, wives, girlfriends and sisters play on daily basis, women, both young and old continue to be discriminated against, abused and a huge proportion completely excluded from decision making processes in all spheres of life. Gender equality is still a worthwhile aspiration. 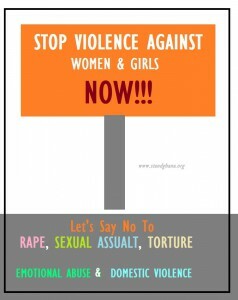 Let’s Step It Up for Planet 50/50 and for gender equality. Congratulations from Stand Ghana Inc. to all women of Ghana and of the world. You are all great! Continue to work hard, fight for your rights and promote the rights of the girl child to make this world a better home for everyone.